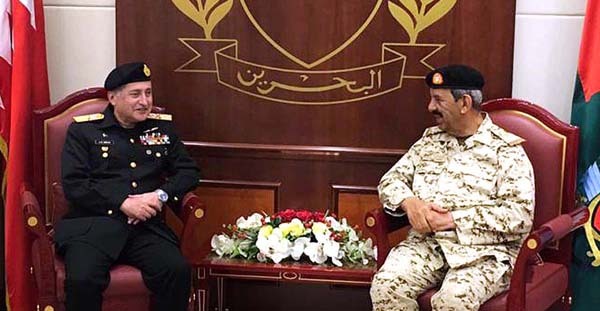 Commander-in-Chief Bahrain Defence Forces Field Marshal Shaikh Khalifa Bin Ahmed Al-Khalifa. During the meeting, matters of mutual interest including defence related collaborations were discussed, a Directorate of Public Relations of Pakistan Navy press release Wednesday said. The Naval Chief briefed the dignitary about the forthcoming Multinational Naval Exercise AMAN-19, being hosted by Pakistan Navy in Karachi in February 2019.